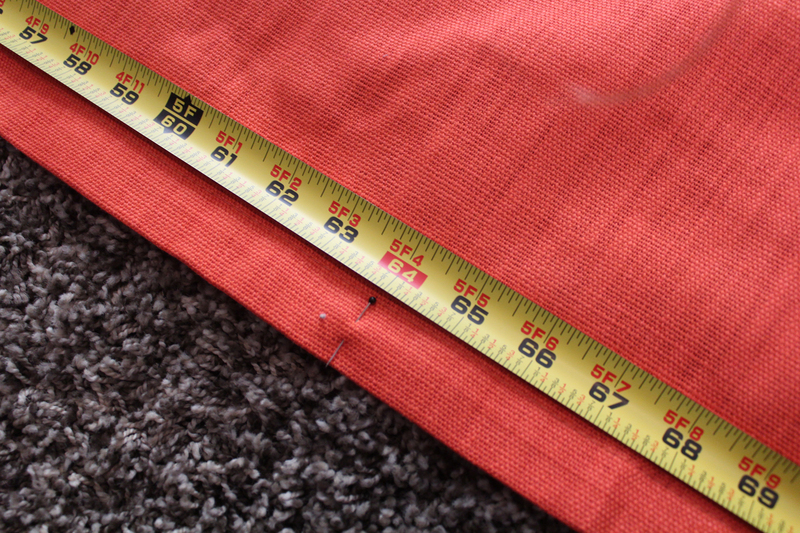 I bought 4 yards of fabric or 2 yards for each panel. 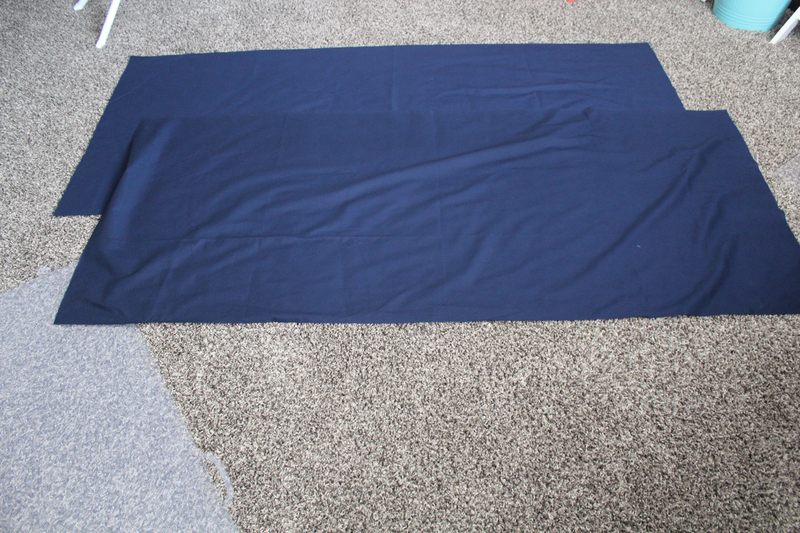 I cut them to be 72×32 each (It’s funny how weird the color looks in this picture…but they are navy). 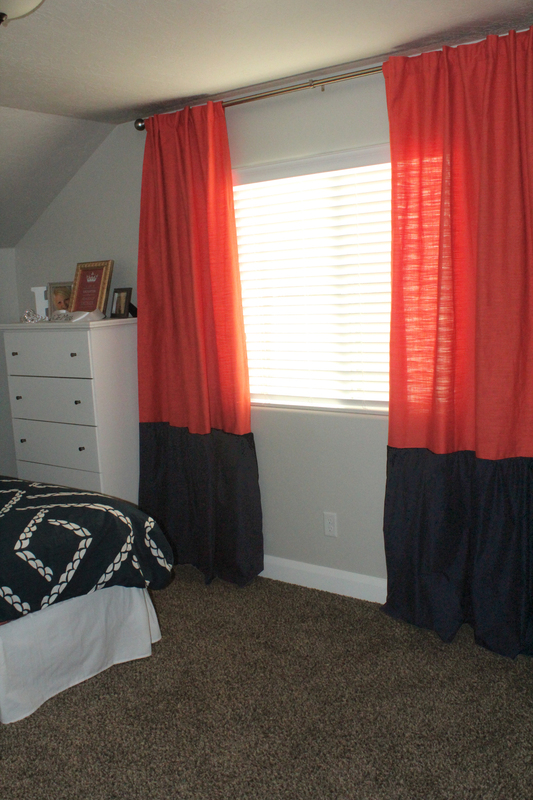 Each of her curtain panels were 54 in wide, so with 2 yards of fabric (72 in) that gave me a little extra fabric to play with to make the ruffle. Here’s what it looked like once I had the 2 rows of stitches sewn. Important: make sure to knot the ends of the thread when you get to the end of your rows. 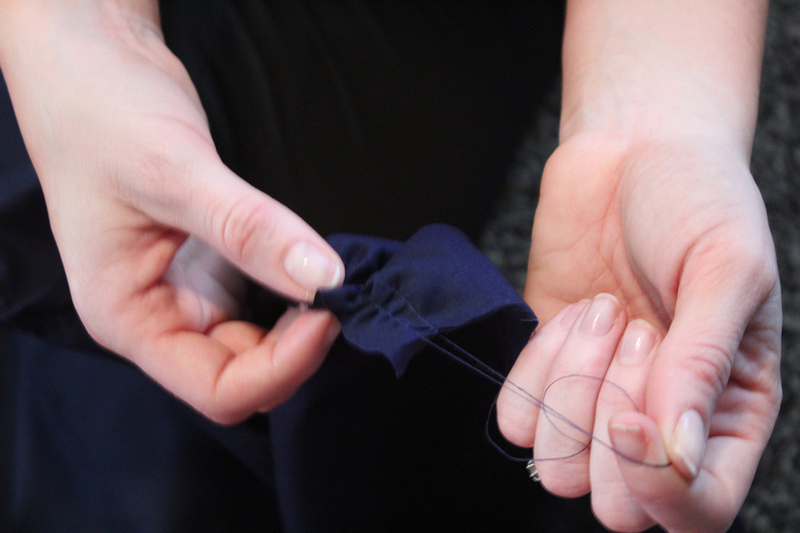 This will make sure the thread stays in place when you’re pulling on it to make your ruffle. The next part is the trickiest and I actually broke my thread the first time I had to pick it out and start all over (ugh). So be careful! 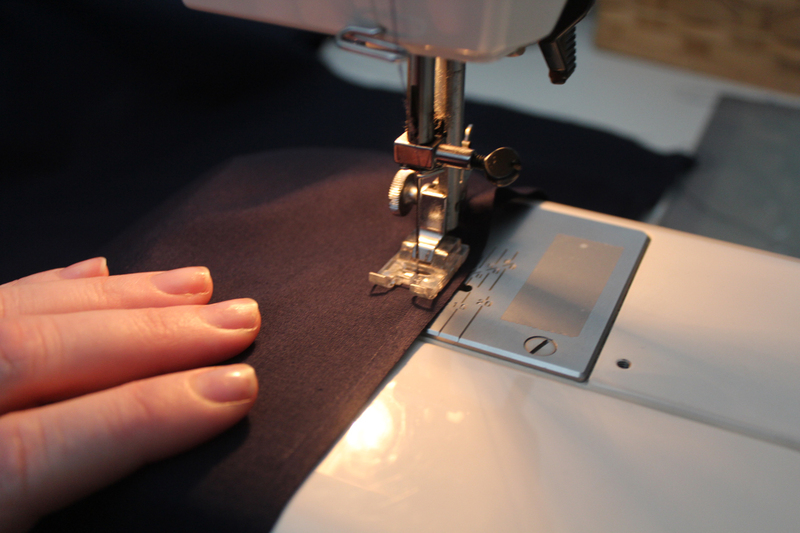 You will have 2 tails of thread on the top of the fabric and 2 on the bottom. 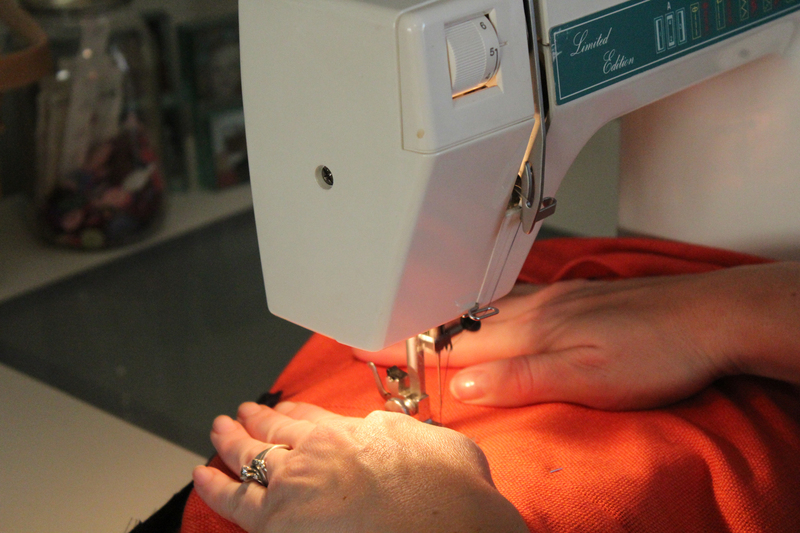 Only pull the top 2 tails of thread while you push the fabric back to make it bunch up. 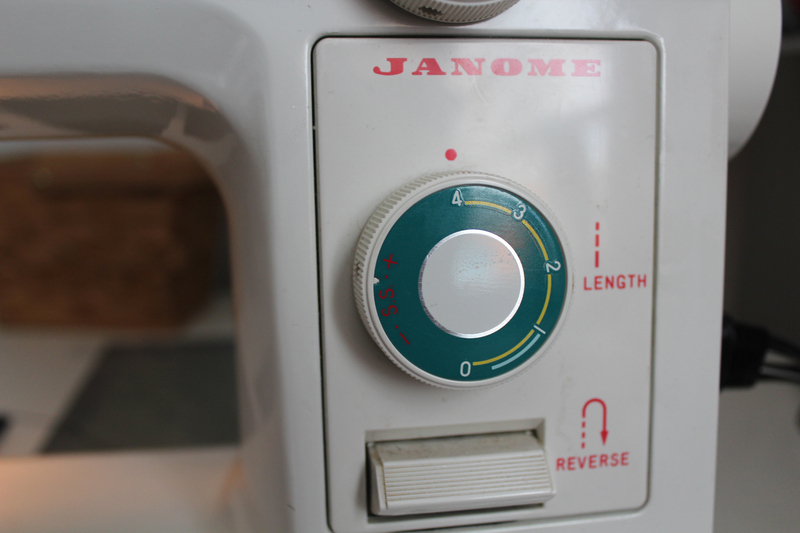 If you pull the thread on the bottom at the same time then your thread will lock up and you will not be able to pull it through. Once I had the fabric bunched in the way I wanted (with an extra inch on each side) I was ready to attach my ruffle to the panel. First I measured down 64 inches on my panel (you can place your ruffle wherever you like but a good rule of thumb is about the bottom 3rd of the panel. 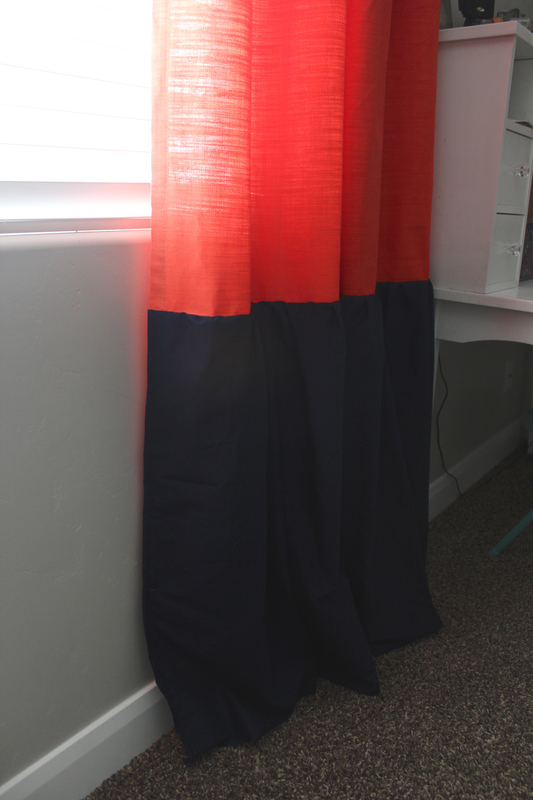 I wanted my curtains to be 96 inches long so they would be floor to ceiling) I marked it with a pin on each side and then I folded it along that line and ironed it so I had a line going across to know where to start the ruffle. 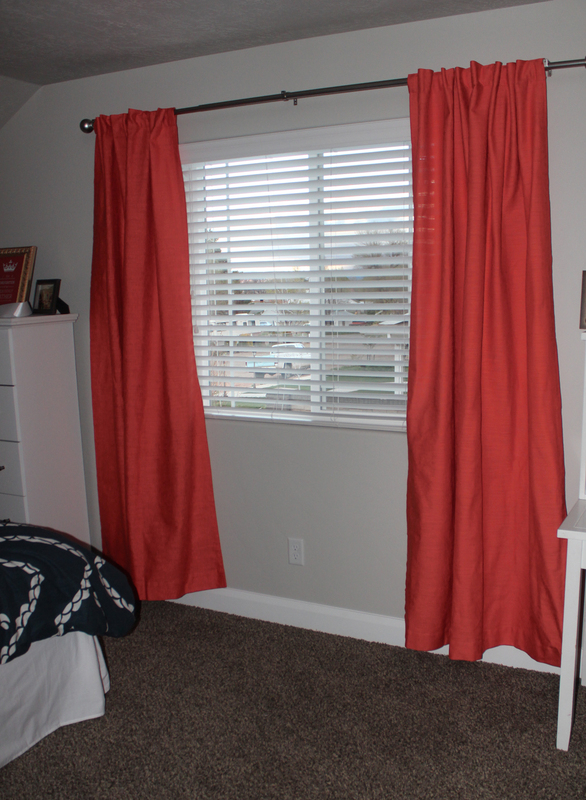 Pin your ruffle to your curtain panel with right sides together. 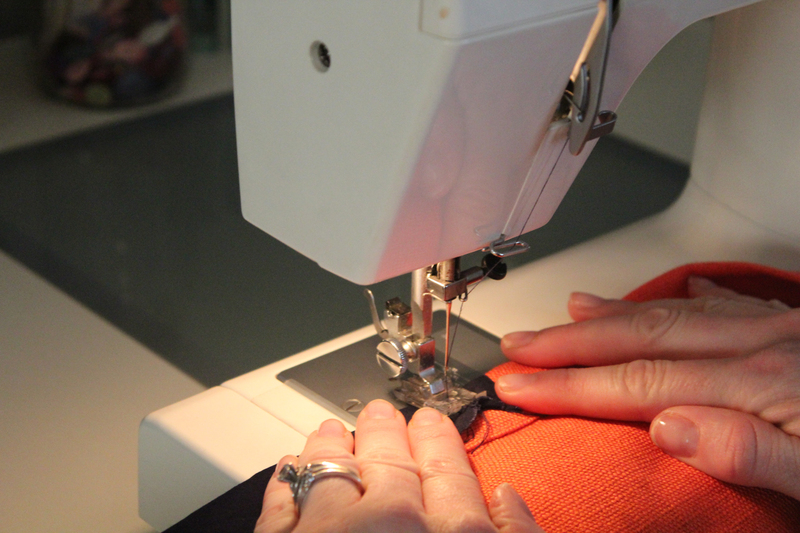 That way after you’ve sewed it on, you flip it back over and have a hidden seam. 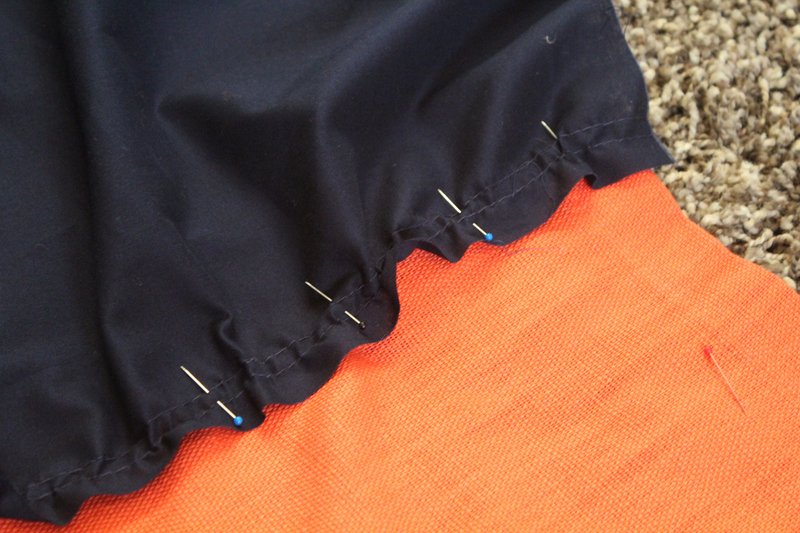 I placed my pins about 2 inches apart all the way down the width of my panel leaving about a 1 in of fabric on each side which you will use to fold over and make a side hem. This next part was a little more difficult… I decided to keep my panel flipped over with my ruffle underneath while I sewed. I did this because then I could see the line that I had ironed into the fabric and could sew a straight line. It was tricky though because I had to keep checking the ruffle underneath to make sure that it didn’t move out of place or bunch up. 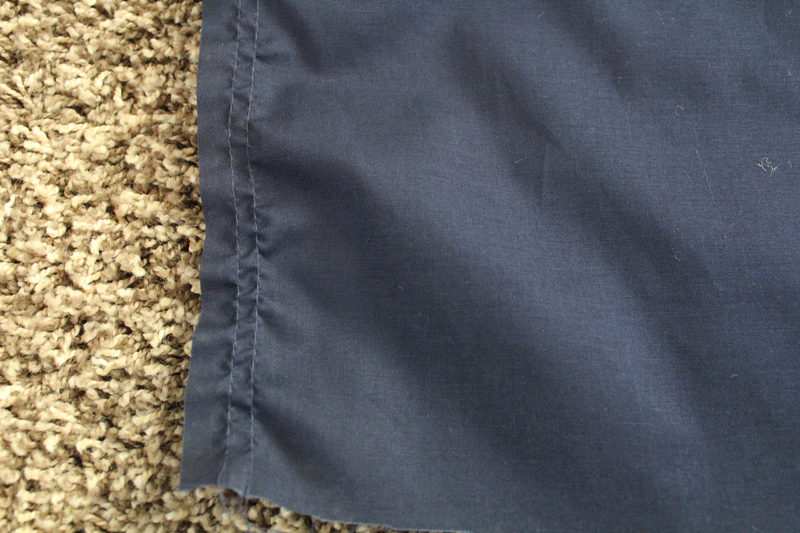 After I had the ruffle attached, I needed to sew the sides of the fabric to the panel (oops…forgot to get a picture of this part) so I just sewed straight down the side. 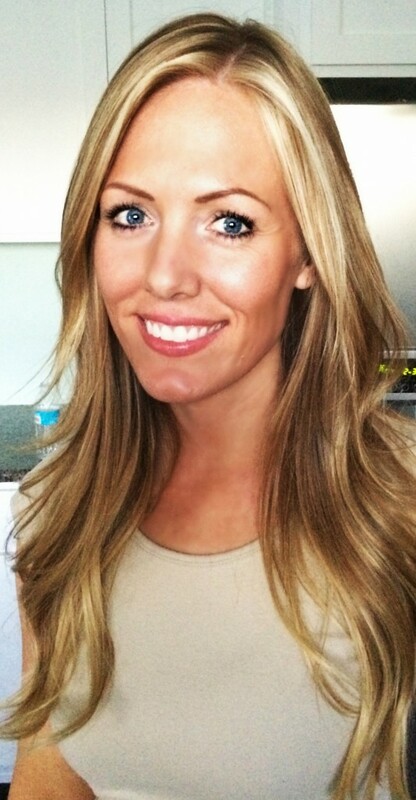 And here’s what the finished product looks like up close!